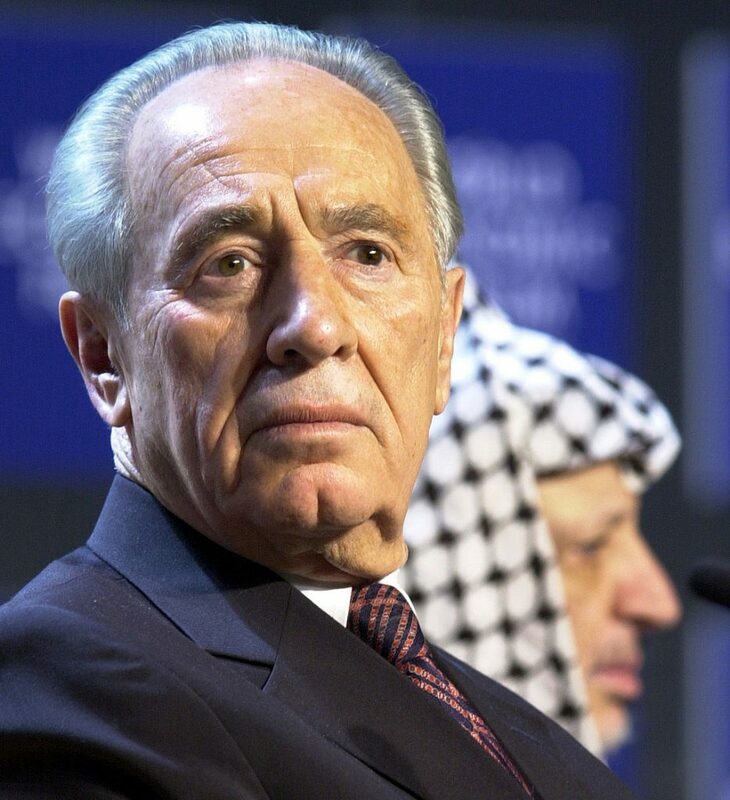 Shimon Peres in Davos, 2001 with Yasser Arafat in the background. In the early 1990’s, a full quarter century ago, the prominent Israeli politician and visionary from the Founders’ generation famously or perhaps notoriously remarked that a “new Middle East” was around the corner. These remarks were intended to gin up support in the skeptical Israeli public for the Oslo accords, which brought Israel’s arch-nemesis Yasser Arafat and his PLO terrorists from their exile in Tunisia to within a few kilometers from Tel-Aviv. Predictably, only a few months later Israeli streets were awash with Jewish blood; the dream of the new Middle East became a nightmare. As has been often stated on these pages and as is the majority view in Israel, the series of unilateral concessions made by Israel did indeed result in a new Middle East, a far less stable more dangerous one, a Middle East awash in religious intolerance, a hot Sunni-Shia war, and an Israel that is under the constant threat of hundreds of thousands of rockets and cross-border assault tunnels. But maybe it isn’t smart to ignore the words of the guy who nearly single-handedly dreamed up and built Israel’s nuclear deterrent. Perhaps the new Middle East, the one in which peace, prosperity, and tolerance prevail is simply a few decades late to the party? Let’s be honest about this: without Oslo, with Israel in full military and civilian control of Ramallah and Shchem and Khan Yunes, with the IDF occupying a swath of Lebanese territory along the Israeli border, even President Trump and his band of Zionist American Jews or Jewish Americans, couldn’t have moved the US embassy to Jerusalem. Nor could the Sultan of Oman give a speech in which he admitted to the indigenous Middle Eastern roots of the Jewish people and their Torah. The BDS movement, now considered quite malodorous in most Western capitals would have undoubtedly been much more difficult to keep at bay, and it can certainly be imagined that Israel’s unprecedented economic resilience and prosperity, based in no small part on the opening of the Indian and Chinese markets to its export economy would not have happened. One can’t help but wonder if the old fox wasn’t smarter than all of us after all, that guy who abhorred violence and spoke to his last day with a heavily accented Diaspora Hebrew, which did little to endear him to Israeli voters, the behind the scenes operator who always remained in the shadows of his Sabra other half the chevalier sans peur et sans reproche Itzhak Rabin. Perhaps after all, despite of all the vile hate that is being taught to little Arab children in Gaza and in Judea and Samaria, despite the best efforts of the Iranian mullahs with their eschatological mishigas, life will prevail. There are signs of that, to be sure. The economy in the Palestinian Authority in what they call the “West Bank” is doing quite well and even in Hamas-governed Gaza things are not so bad that the residents there have nothing to lose. Lebanon, after its ruinous 1970’s civil war and years of conflict with Israel forced upon it by a minority of militant Shia Arabs in the south, is finally regaining a semblance of its past glory as the playground of the Middle East. 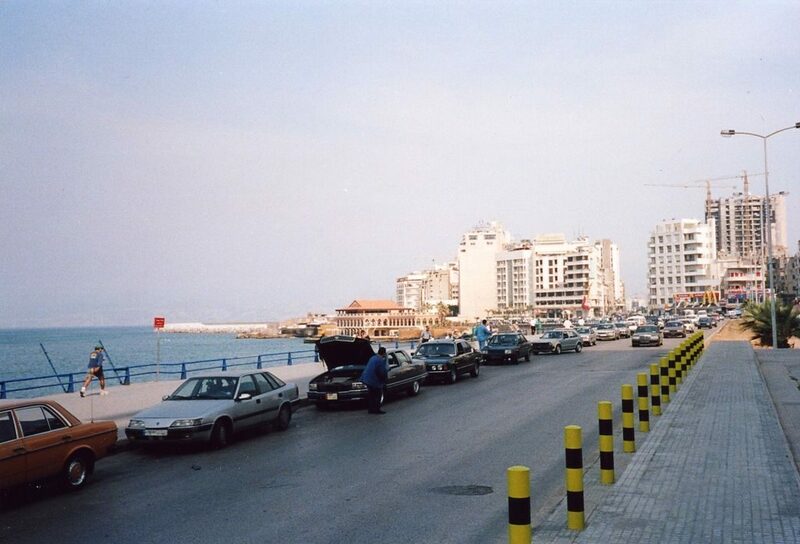 While Beirut will never compete with Tel-Aviv and its days of being the Paris of the Levant are long since gone never to return, it fills quite nicely the role of a tourist destination for Middle Eastern tourists on a budget who want a seaside or a mountaintop vacation and can’t quite afford the French Riviera or the Swiss Alps. The idea of wiping Israel off the map is hardly one that holds much currency outside of a few propaganda offices in Gaza and in Tehran and if that’s not happening, then what is the point in destroying in a few weeks economic gains that took years and decades to build? The wars of this century had a distinctly different flavor than those of the last. Israel won a great military victory in the Yom Kippur war only to lose the diplomatic war that followed. The same thing happened after the successfully prosecuted First Lebanon war. Winning the military battles and losing the public relations ones seemed like an inescapable fate for Israel until the era of unilateral concessions of the last two decades. Today, Israel does not seem to quite have the will to vanquish its enemies with the same ferocity that it used to have. But, surprisingly, it wins the wars after the wars. Israel’s adversaries, the Hamas and the Hezbollah are seen as the villains, not Israel. Following the wholesale destruction of expensive infrastructure and the horrible civilian suffering that Israel reluctantly inflicts on the Arab populations when left with no choice but to retaliate against the intolerable attacks on its sovereignty by the Iranian proxies on its borders, Israel continues to prosper without skipping a beat. No emigration, like in the aftermath of the Yom Kippur war, no drop in GDP, no slowdown in economic growth, no losses on the battlefield of public opinion. For all their talk, the leaders of the Hamas and the Hezbollah do not live in Tehran. They live among their people, people who have had enough suffering for several lifetimes already and are unlikely to be asking for more. In any aggression against Israel, the world, including large portions of the Arab world, will clearly see who is the aggressor and who is simply defending their legitimate interests. Israel has already put Lebanon on official notice that it will see in its government the party directly responsible for any provocation by the Hezbollah, especially since that terror organization is allowed to participate in elections and win seats in the Lebanese parliament. Egypt, already suffering from ISIS and Al-Qaeda terrorism in the Sinai Peninsula and in Egypt proper, does not need an escalation on its border with Gaza and is unlikely to view with favor any Hamas adventurism. 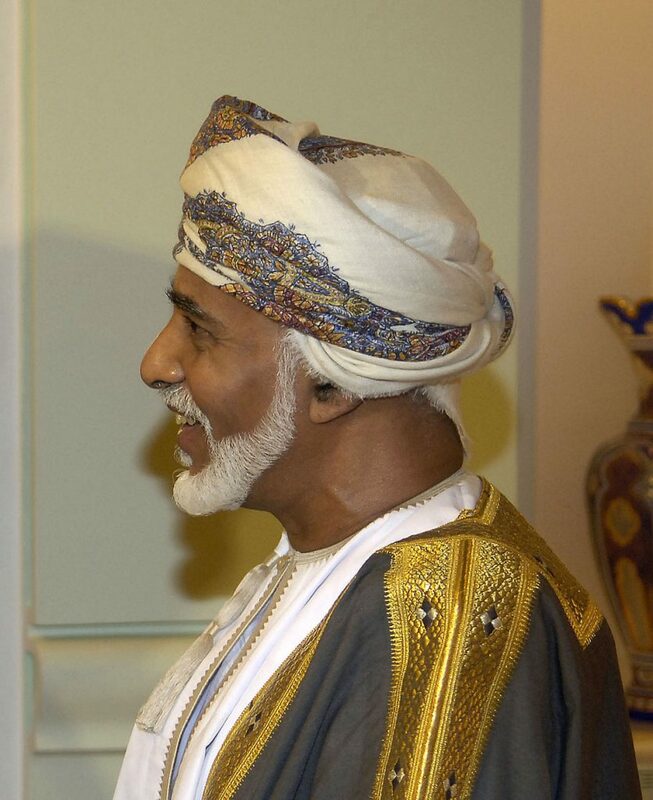 The historic visit by the Pope to Abu Dhabi, the first such visit by a highly placed Christian to the birthplace of the Arabs and of Islam, is a sure sign that the Sunni states on the Arabian Peninsula are choosing the path of peace and prosperity, even at the price of the normalization of relations with Israel, as excellent reporting by the New York Post shows. This would surely not have been possible had Israeli military administration still occupied office space in Ramallah and in Gaza City. Turning points in history are always particularly dangerous and this one is no exception. There are forces, powerful ones, in the Islamic world that are willing to accept Israel as a full partner in the newly free and prosperous Middle East, but there are other forces for whom such a development would spell the doom of their policies, aspirations, and ambitions. For the mullahs in Tehran and their attack dogs in Gaza and in Lebanon, for the Allawite Assad dictatorship in Syria, and even for the Sultan wannabe in Ankara, a modernized, secularized, outward-looking Middle East is a Middle East that has no place for them. They will not go without a fight, nor will they reform their ways, of that we can be sure. Alas, there is more death and destruction to be had before the new dawn can finally arrive.